Search Engine Optimization (SEO) is a critical aspect of today’s business landscape. Your ability and savviness for writing SEO optimized web content is the difference between getting exposure on the search engines or being left in the dust. Whether it’s the content on your About page, Homepage, website blog, etc., all your written work should be crafted with SEO in mind. The common goal for just about every piece of content on the web is to receive a high ranking on the SERPs. Over the years, there have been all kinds of studies conducted on page one of the Google results. The consensus is that the vast majority of searchers never make it to page two. With this in mind, writers and SEO experts are continually working to get their content featured on one of the ten spots on page one. Here are some crucial tips to keep in mind. Keyword research is a foundational aspect of SEO. 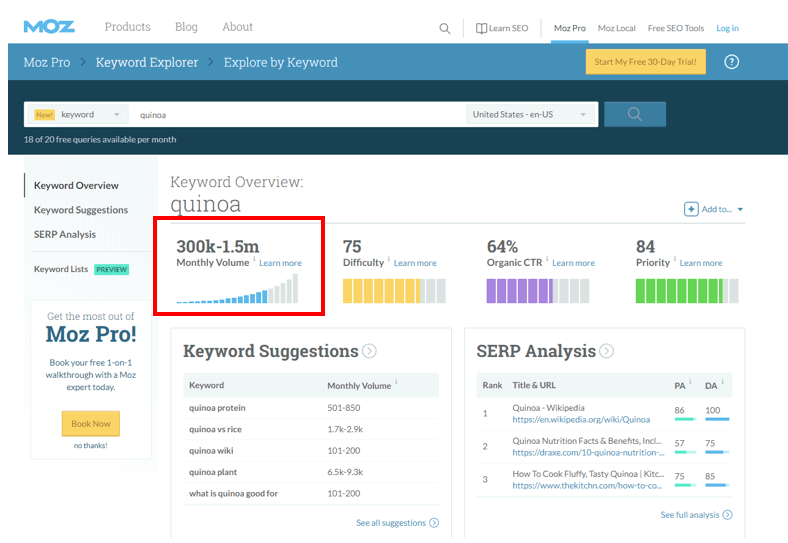 As trends come and go by the hour these days, keyword research needs to have a significant role in your writing process. Your goal should be to locate the queries people are looking for concerning your niche. As a general rule of thumb, try to focus on long-tail keywords – terms and phrases made up of four or more words. The reason is that these terms typically have a lower search volume, but can still give you a good chance of ranking well on the SERPs. You’ll notice the competition for this general term is VERY high, making it nearly impossible to rank for. So, you’ll want to get a little more specific to what you offer. 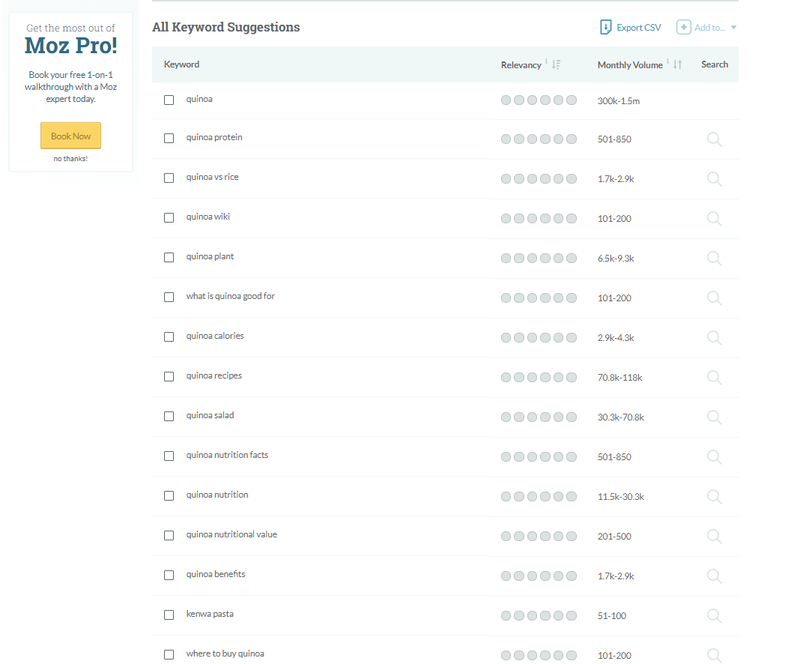 If you click on “See all suggestions,” you will be given an extensive list of relevant terms with the more manageable competition. Keyword research indeed takes some critical thinking. Once you have developed a good bank of relevant search terms, you can include them in your website content to be indexed by the search engine crawlers. Back in the day, there was a common practice referred to as keyword stuffing. This involved writers and webmasters taking a keyword they wanted to rank for and using it as much as they possibly could throughout their content. One result was that the search engine crawlers would know precisely what a particular page was about and rank it accordingly. Another result was the content would sound incredibly spammy and inorganic. After a while, the search engines wised up to this tactic and even penalized pages that did it. Nowadays, the crawlers judge web content based on qualities like readability and unique value. While you still need to include keywords and phrases for rankings, your approach needs to be more strategic and modest. Do your best to cover the terms in a natural way that doesn’t confuse readers, or has awkward amounts of repetition. Try to use varying keywords in your content, as this spreads out and diversifies your chances of ranking. The title tag of your content is one of the most critical pieces of the puzzle. The title tag is the face of your content and how it is received across the web. Especially on your website’s blog, the title should include keywords that fit the specific context of the post. The URL of a webpage sometimes tends to be a forgotten factor in SEO. SEO-friendly URLs are reasonably straightforward. Experts will tell you the first 3-5 words hold a good deal of the value, so try to keep them relatively short with the proper keywords included. Ultimately, both the readers and the search engines crawlers should be able to understand what your content is all about from the URL. Meta descriptions are the body of text placed under the title. It is meant to provide readers with a short preview of what the content is. While it doesn’t necessarily hold as much SEO value as the title tag, it’s crucial for click-through rates (CTR). It should still include your chosen keyword(s) and be well written and concise. Keep in mind; the meta description is what persuades people to open your content. Think of it as an SEO charged sales pitch! Link building is an essential part of SEO. This process involves adding both internal and external links within your content. Internal links direct readers to other pages within your website. A good interlinking structure makes it easier for search engines to crawl your website and understand its meaning and value. External links (like this one) direct readers to pages outside of your website. If you are citing specific data, findings, or want to provide additional information, you’ll want to include external links in your content. Just be sure the site you link to is credible, and the material was (preferably) published within the last few years. The key here is quality. Don’t include links within your content just for the sake of linking. Make sure the pages you link to are relevant to your content and add value for the reader. One essential tool for creating SEO-friendly content is Google Search Console (formerly known as Webmaster Tools). Pinpointing the keywords that are driving traffic to your website. Sending links to Google to ensure indexing. Of all the excellent SEO tools out there, this one needs to be at the top of your list to help guide your writing. SEO is a fascinating form of marketing. Google is famously known for keeping the more delicate details of their ranking algorithms quiet. For the most part, experts are working around the clock to uncover the secrets and tricks to get placed on page one. Due to how fast the landscape moves, this is no easy task. Writing SEO-friendly content is somewhat of an art form. If you want to find your way to the glorious page one, keep these tips in mind.